Nuit Blanche Toronto is a free, annual, city-wide celebration of contemporary art, produced by the City of Toronto in collaboration with Toronto’s arts community. On September 29th, Bloor-Yorkville will remain awake, with the rest of Toronto, with several installations slated to intrigue and exhilarate art-loving visitors. For one sleepless night, from sunset to sunrise, the familiar is discarded and Toronto is transformed into an artistic playground for a series of exhilarating contemporary art experiences in unexpected public spaces. Since 2006, this award-winning event has featured nearly 1,400 art installations by approximately 4,900 artists, generating over $311 million in economic impact for Toronto. 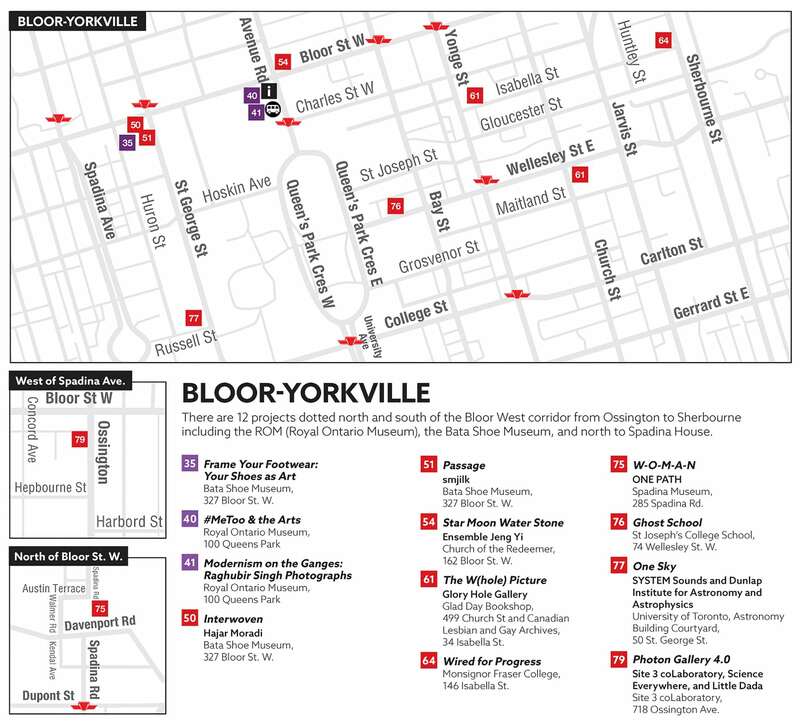 Below is a guide and map to your night of art in Bloor-Yorkville. Click here for the full event map. Jeng Yi will anchor a cast of performers for an all-night presentation of drumming, music and dance. Guest appearances will include Japanese taiko and music group Nagata Shachu, Korean zither performer Joo Hyung Kim and the Korean dance company JM Dance Collective. 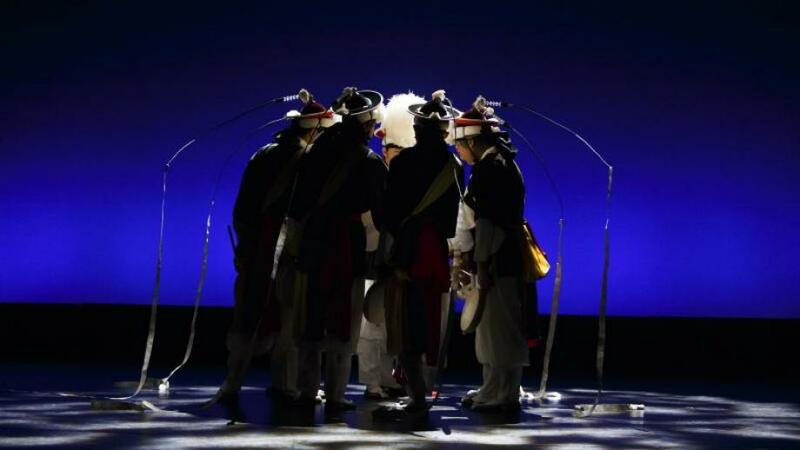 Weaving music and dance with elements of ritual and theatre, this project aims to recreate the dynamism and eclecticism of all-night shaman rituals performed in Korea. In addition to playing an important role in community-building, such all-night affairs are pivotal in entertaining and appeasing the spirit world. These performances demonstrate a giving of thanks to spirits for their safekeeping during the summer season, and an appeal for their continued guardianship over our home—in this case, Toronto—and its citizens in the coming autumn and winter months. Museums today are struggling with what to do when artists represented in their galleries are accused of sexual harassment or when artworks in their collections are viewed as problematic. #MeToo & the Arts offers audiences a series of public engagements that explore the intersection of #MeToo and the arts, with a focus of museums. Prompted by the ROM’s upcoming presentation of Modernism on the Ganges: Raghubir Singh Photographs, and an allegation of sexual misconduct made against the deceased artist, #MeToo & the Arts seeks to encourage a larger conversation about how museums, and the public, are engaging with art within the context of the #MeToo and Time’s Up movements. A live performance will complement the exhibition and installation. Created by Divya Mehra and Amy Fung, and inspired by the fictional Canadian icon Anne of Green Gables, Mehra and Fung will premiere their new collaboration that repositions Anne in a new light. As a fiercely independent and strong headed woman, Anne is ostracized by her WASP community for simply being different. Unapologetic for her challenging opinions, work ethic, and dubious background, The House that Whiteness Built re‐examines this beloved heroine through an intersectional lens of race, class and gender inequality that continues into the present moment. Nuit Blanche Toronto at the ROM begins at 7:00 pm on Saturday, September 29. Last entry into the Museum will be 6:00 am on Sunday, September 30. There are two performances of The House that Whiteness Built, at 9:00 pm and at midnight. These performances are intended for an adult audience only and may contain mature content. Space for each performance is limited. Located at the entrance to the Michael Lee-Chin Crystal in the Thorsell Spirit House, the display examines how museums are engaging with issues raised since October 2017 when the #MeToo movement gained momentum in the wake of allegations made against a number of powerful men in the film industry. The display invites audiences to learn, reflect and consider their own questions and answers on the issues. One of India’s most visionary and celebrated pioneers in colour photography, Raghubir Singh (1942–1999) was a prolific photographer whose creative style revealed the dramatic palette of India’s streets, places and peoples through a distinct lens. Tracing the full trajectory of his career from the late 1960s to his last unpublished projects of the late 1990s, this exhibition showcases the iconic depictions of Indian life and culture in vivid colour. 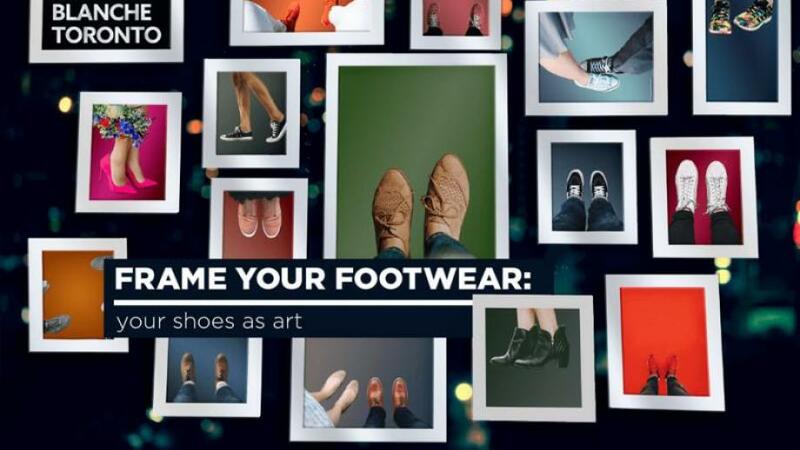 Frame Your Footwear: Your Shoes as Art invites visitors to stop by a Bata Shoe Museum Boomerang Station, which turns everyday moments into something unexpected. Boomerangs are a burst of photos stitched together into a mini-video that plays forward and backward. Inspired by the exhibition Manolo Blahnik: The Art of Shoes, visitors will be welcome to create and share their own miniature Boomerang art pieces, featuring their chosen Nuit Blanche Toronto footwear. All four of the Bata Shoe Museum’s current exhibitions will be open for the duration of Nuit Blanche Toronto. These include the temporary exhibitions Manolo Blahnik: The Art of Shoes (on the third floor), The Gold Standard: Glittering Footwear from Around the Globe (on the second floor) and Art & Innovation: Traditional Arctic Footwear from the BSM Collection (on the second floor). The semi-permanent exhibition All About Shoes: Footwear Through the Ages (on the basement and ground levels) will also be open. Interwoven is a conceptual, narrative-based performance—an installation that aims to visually and symbolically connect various narratives. Through the medium of a tribal woven rug specific to the nomads of Iran—the artist/performer weaves a visual piece, inviting the audience to participate in the creation of the final artwork. Participants will be instructed to select strands of wool from a series of sculptural moulds of the artist’s hands and interact with her, adding their visual and cultural aesthetics to the final woven contemporary Gabbeh. The city and its inhabitants are in constant conversation. When people move through the city, they encounter arrays of light, shape and motion. In turn, they imbue these cues with meaning. Passage pivots around this point: the city is not an object to be observed, but a changing entity to be shaped by its people. Passage will invite audience members to reflect on these interactions, transporting them into an interactive pathway of light and motion. Framed by mirrors, audiences will walk along a path extending far beyond its physical boundaries. By transforming an ordinary alley, Passage will encourage audience members to engage with their environment. They are asked to rediscover their city and its possibilities, and in doing so, reinterpret their role in shaping it. One Sky will be a chance to experience Toronto’s collective night sky through new eyes and with new ears. Viewers will be able to look up and see an unobscured celestial sphere, as well as listen in as thousands of visible stars are translated into music. The constellations defined by many cultures that live under Toronto’s sky will create unique melodies as they dance together high above. SYSTEM Sounds is an art-science project that translates the rhythm and harmony of the cosmos into music and sound.